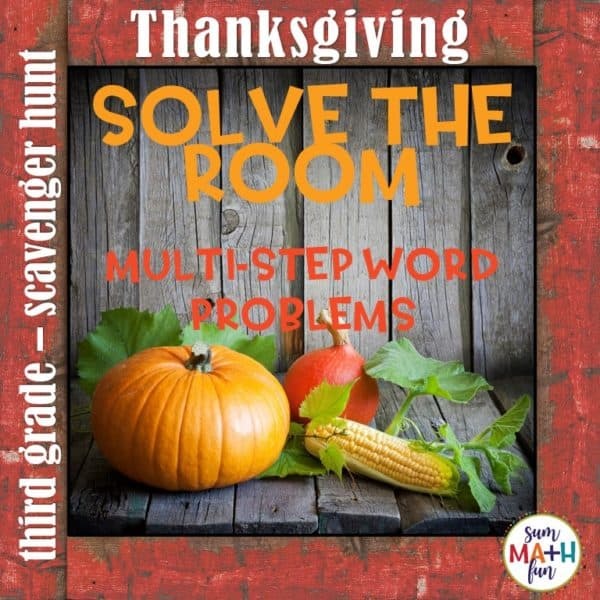 Thanksgiving Word Problems Third Grade Scavenger Hunt Fun Solve the Room – Get Them Up and Moving! 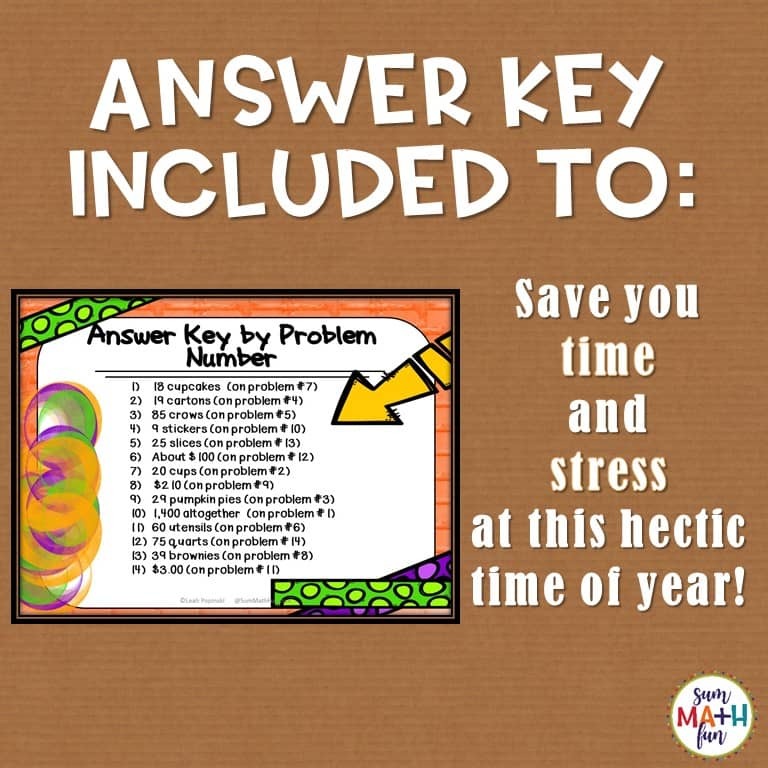 This Print and Go Thanksgiving packet for Grade 3 will ease the stress of this busy time of year! This activity is a super resource for fun, yet meaningful Thanksgiving-themed math word problems for your third grade-level students. 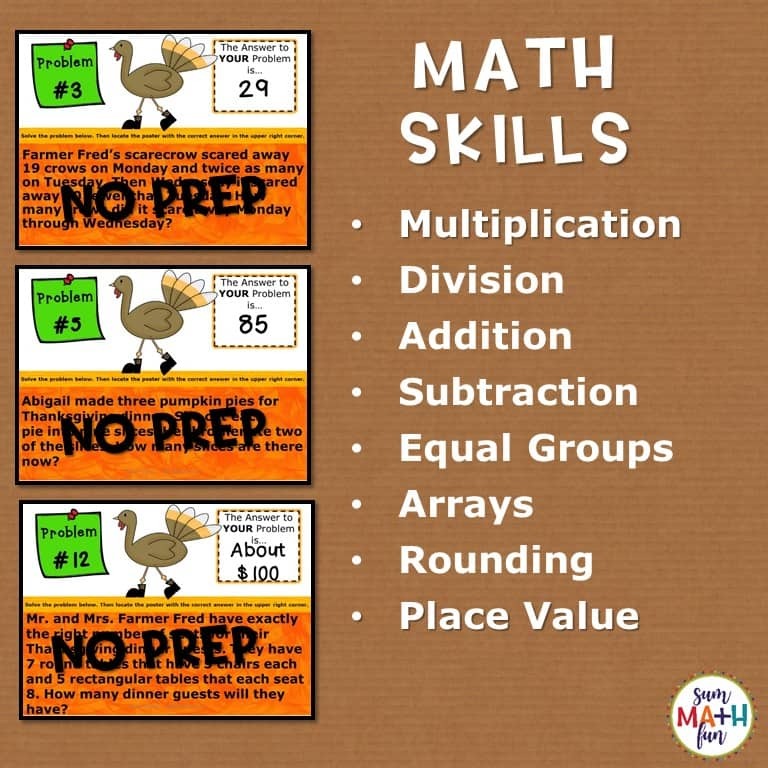 Your students will love the fun approach to learning around the Thanksgiving holidays, and you will enjoy the ease of planning at this hectic time of year! Simply print and go! Students start at a poster that you assign or at a random poster. They read and solve the problem on that poster. Then they look for that answer on all the other posters. They move to their answer and complete the new problem on that poster. Students continue this process until all 14 problems are complete. As they work through the problems, students will be able to “catch” their mistakes as there are only posters with correct answers. All questions are multi-step to give students extra practice with the dreaded…word problem. A blackline version is included! 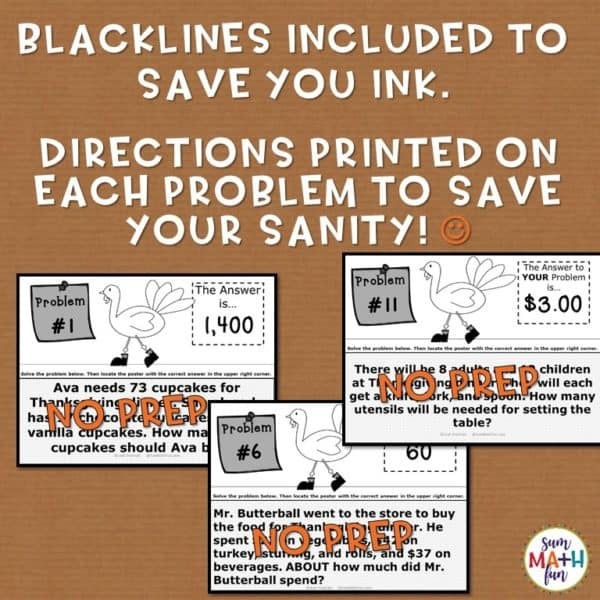 ♥ This NO PREP packet will save you hours – just print, laminate or use sheet protectors and use year after year.Blackline version and answer key included. ♥ Why You’ll L-O-V-E IT! Save 30%!! 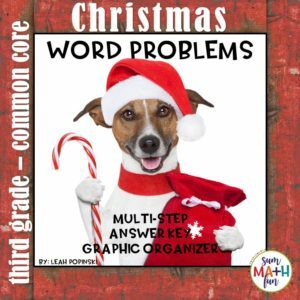 Click here to see the BUNDLE that includes a year of Common Core word problems! 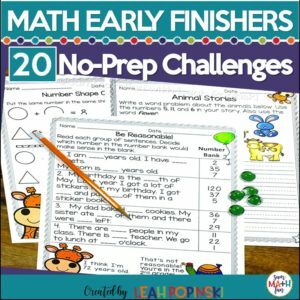 Please note: this resource is included in a huge full year bundle of six different math packets which includes a total of 138 word problems just for 3rd grade! Purchasing the bundle will save you 30% compared to buying each product individually! !